In 1988, Dr. Ron Leavitt founded The Oregon Association for Better Hearing, a hearing aid consumer test group. That group was established so that people who are hard of hearing could talk with unbiased, long-time hearing aid users. These hearing aid testers volunteer their time to evaluate hearing aids in an ongoing search to find the best hearing aids in the world marketplace. The hearing aids that receive top rankings are those recommended and fit on patients at Dr. Leavitt’s clinic in Corvallis, OR. A book written by Dr. Leavitt and a group of product testers which would be of interest to people starting their research into hearing aids, titled Hearing Aid Buying Guide 2017, is available at our monthly consumer educational meetings, or by phone order. 1. Type and degree of hearing loss common to a high percentage of the general public. 2. Time and energy to devote to the requirements of hearing aid testing. 3. Genuine desire to help others with hearing loss receive unbiased information. 4. Interest in the technological and medical advances in treatment of hearing loss. Product testers volunteer hundreds of hours each year testing new, state-of-the-art hearing aids in their everyday lives. In classes, social gatherings, at church, in meetings and at home they wear the hearing aids and give them a thorough, “real-world” evaluation. When they present their findings at the consumer report meetings, they rate every function and feature of the aids. 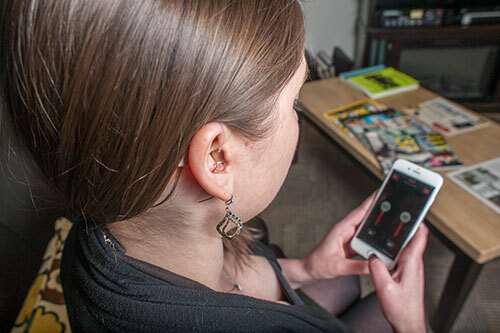 These include background noise suppression, ease of operation, quality of sound, telephone compatibility, comfort in the ear, and many more features critical to hearing aid success.